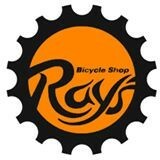 We are hosting/promoting our first bike race December 9th, 2012. It is a cross race at Stratford Woods Park in Midland MI. We ask that all racers coume out, have fun, race and volunteer. It will be cold and hot at the same time! Concact me for questions. More details coming soon!